Sprint, under fire along with AT&T and T-Mobile for using Carrier IQ's controversial key-logging software, says it is "disabling the use" of software from customers' phones. "We have weighed customer concerns and we have disabled use of the tool so that diagnostic information and data is no longer being collected," said Sprint spokeswoman Stephanie Vinge in a statement. "We are further evaluating options regarding this diagnostic software as well as Sprint’s diagnostic needs." Carrier IQ, which says its software is used only to help with network diagnostics, has been under fire for several weeks after an independent researcher discovered the software can track the activities of phone users, including text messages. The company, whose software is on 141 million cellphones around the country, has said that is not the case, that its software "does not record, store or transmit the contents of SMS (text) messages, email, photographs, audio or video. For example, we understand whether an SMS was sent accurately, but do not record or transmit the content of the SMS. We know which applications are draining your battery, but do not capture the screen." The use of the software has already resulted in some lawsuits over alleged violation of federal wiretap laws and government attention on privacy violations. On Dec. 2, Rep. Edward Markey, D-Mass., asked the Federal Trade Commission to investigate Carrier IQ for violating the privacy rights of millions of mobile phone users. Sen. Al Franken, D-Minn., who is chairman of the Senate Judiciary Subcommittee on Privacy, Technology and the Law, also has similar concerns. He has asked for more detailed information about Carrier IQ's software from the company, as well as from Sprint, AT&T and T-Mobile. 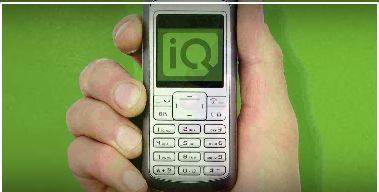 Verizon Wireless says it does not use Carrier IQ software. In response to Franken's request for information, Sprint said in a Dec. 14 letter that it has used Carrier IQ's software since 2006, and that it was on 26 million Sprint devices. "However, the Carrier IQ software tool does not collect any information unless it is 'tasked' to do so by Sprint," the company said in the letter." At any one time, only 1.3 million devices may be tasked to collect and report data. In fact, for any particular research request, a subset of a much smaller number of devices, approximately 30,000, are queried to respond to a research request from Sprint personnel." Earlier this week, a Carrier IQ executive told the Associated Press that the FBI previously approached the company about using its technology, but was turned away. The disclosure came a day after FBI Director Robert Mueller told Congress that agents "neither sought nor obtained any information" from Carrier IQ.